The Minister for Health has refused to be drawn on criticism of his handling of the Cervical Check Scandal leveled at him by the former head of the HSE. That's despite Tony O'Brien saying the Minister behaved like a "frightened little boy" in his handling of the controversy in a Sunday Business Post interview over the weekend. O'Brien's comments have been criticised by Cervical Check campaigners Vicky Phelan and Lorraine Walsh, with the latter tweeting to say "Pity after all this time he couldn’t take responsibility for the disaster that is the HSE." 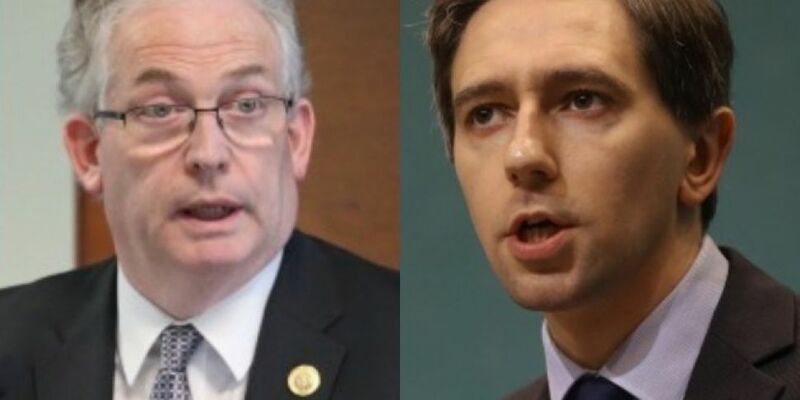 Today Minister Simon Harris refused to return fire at Mr O'Brien "I want to focus on the issues and the challenges we need to address in the heath service. "My entire approach to Cervial check was being concerned for the women impacted and I do take great appreciation from the comments of Vicky Phelan this morning or indeed late last night, where she talked about how she had found dealing with me as the Health Minister. I will never apologise for asking difficult questions or for holding people to account. That is my job." Meanwhile, Minister Harris admitted that some of the accusations leveled during the Public Accounts Committee Hearing into the Cervical Check scandal "crossed the line". That was in response to the claim by Mr O'Brien that the PAC - which held a number of hearings on the screening programme controversy - acted like "a kangaroo court". Simon Harris says public service officials must be held accountable by going before democratically elected representatives and answering questions. "There was a genuine fear that people had about the well being and the health of women, and I believe that the people's representatives tried to respond to that by asking questions. It got very hot and heavy at the committee and I do think at times it crossed a line in terms of some of the accusations that were levelled. But I think we need to be very, very careful that we don't dismiss the importance of democratic accountability and the importance of people answering tough questions."